OMG Posters! » Archive "Moog: Welcome To The Grid" Art Print by Jacob Borshard - OMG Posters! Jacob Borshard is a little late to the Moog print party, but that doesn’t mean his isn’t awesome. “Moog: Welcome To The Grid” is an 18″ x 26″ screenprint, has an edition of 75, and costs $25. There is also a red variant with an edition of 6 for $50. Visit NakatomiInc.com. 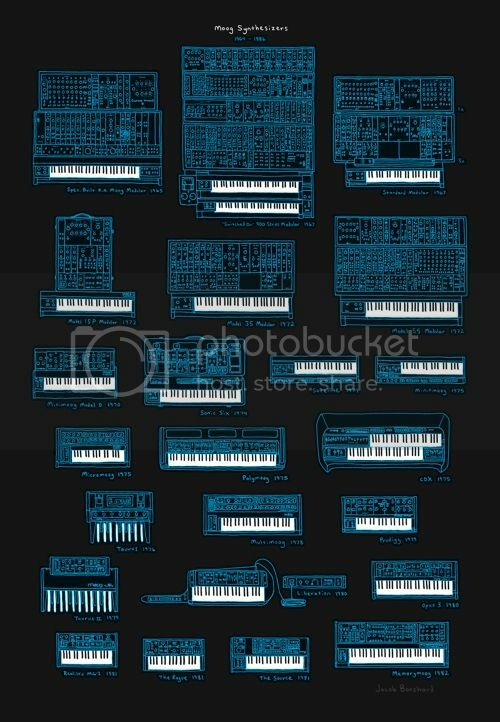 Yah, we were talking about doing this print before we even knew about the Moog show- I didn’t even find out about them until I saw them on OMG, and was like ‘dang it!’ But still, Jacob’s a big music-nerd and wanted to move forward on it, and seeing the final product, I’m glad we did!